Look at that trend! It just gets worse and worse for Clinton. Every new poll in the last few months has been worse than the poll before. 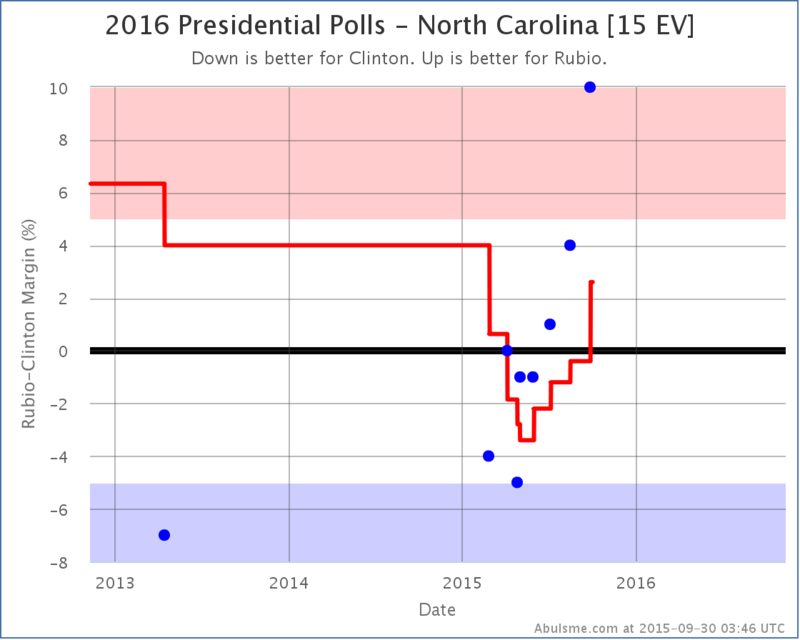 And with the latest, the average flips to Rubio’s side of the line. North Carolina was never going to be a blow out for Clinton, but it was looking for awhile that she was in a good position to pull out a narrow win. That possibility seems to be evaporating quickly. 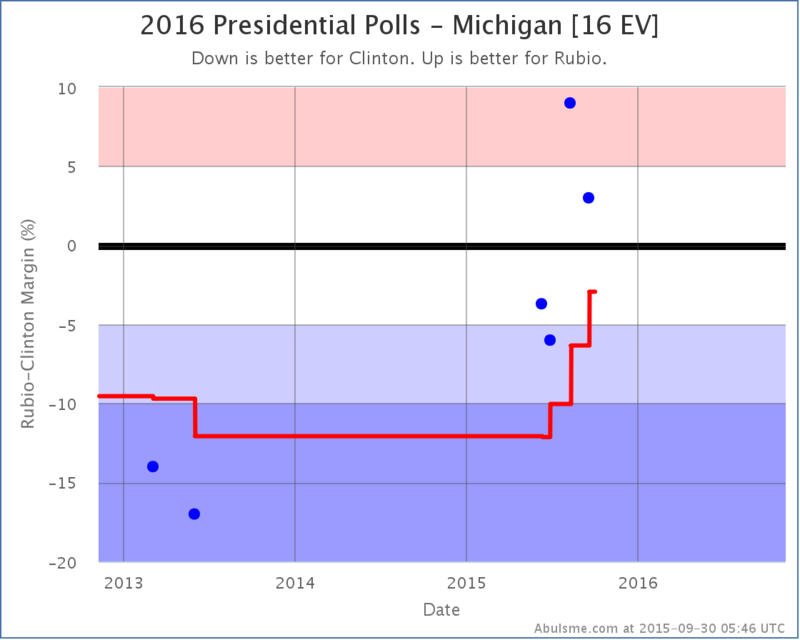 There are less polls to back it up, but the move in Michigan is potentially more dramatic. 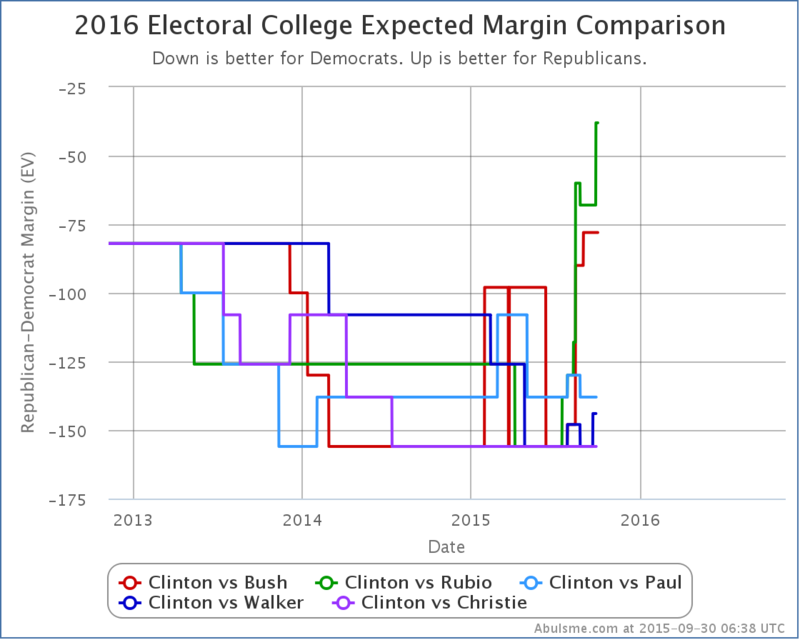 In a few months the average has gone from a strong Clinton lead, to Michigan essentially being a toss up. 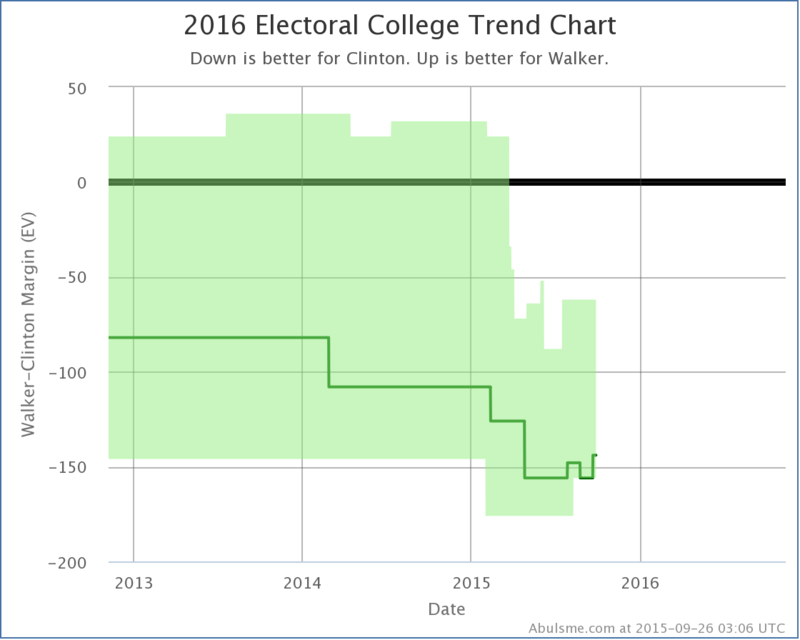 Once again, not a good trend for Clinton. Michigan has not gone Republican since voting for George HW Bush in 1988. In 5 of those 6 elections the winning margin for the Democrats was over 5%. In two of them it was over 10%. A close Michigan means a Clinton in trouble. Yes, if everybody wins the states where they are leading in my poll average, Clinton still wins… barely. But there are a HUGE number of states where it is close. In this matchup, nine states are in play and the range of possible outcomes is very wide. Right now Rubio’s best case (if he sweeps all the close states) is actually better than Clinton’s best case (if she sweeps the close states). 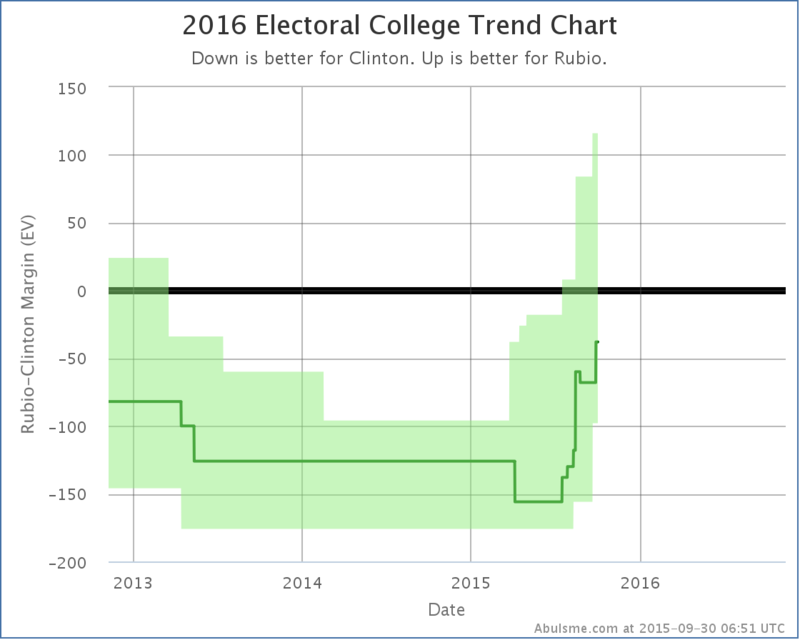 So Rubio is doing well against Clinton, and that is the only one of the five best polled candidate combinations with a change today, but a quick look at the comparison is still useful. Highlighting these two comparisons specifically because of the Rubio changes today, but similar trends show up for the other comparisons. Of the five best polled combinations, Bush and Rubio are standing out and have been dramatically improving their positions vs Clinton. Paul, Walker and Christie… have not. At least not lately. 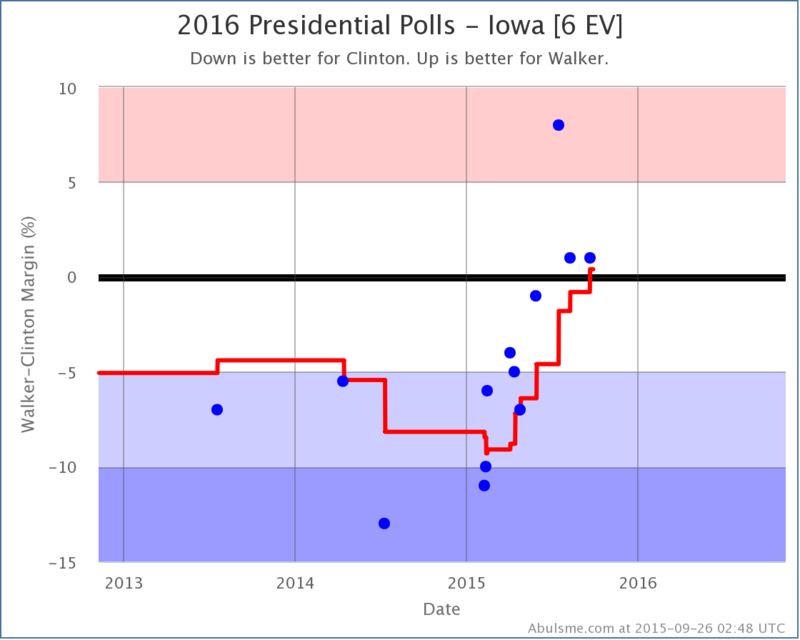 Of course, Walker has already dropped out at this point, and Christie and Paul are on life support, with their national Real Clear Politics polling averages at 3% or less right now. So they just aren’t getting the attention… or the polling volume lately… of Bush and Rubio. As I’ve mentioned before, other candidates are getting a lot more attention now, but they are still way behind these five in the arbitrary polling quality metric I use. They just haven’t had enough sustained polling to get a comparable picture yet. That will change if the folks like Trump and Carson and Fiorina remain viable and folks like Paul, Walker and Christie fade away. Same thing for Sanders and Biden. It just takes a bit of time to get enough good state polls to start paying serious attention to the results in an analysis like this. 405.1 days until polls start to close. Note: This post is an update based on the data on ElectionGraphs.com. All of the charts and graphs seen here are from that site. Graphs, charts and raw data can be found there for the race nationally and in each state for every candidate combination that has been polled at the state level. In addition, comparisons of the best polled candidate combinations both nationally and each in each state are available. All charts above are clickable to go to the current version of the detail page the chart is from, which may contain more up to date information than the snapshots on this page, which were current as of the time of this post. Follow @ElecCollPolls on Twitter for specific poll details as I add them. 16:07:30 Retweeted @Snowden 16:00:38 Can you hear me now? 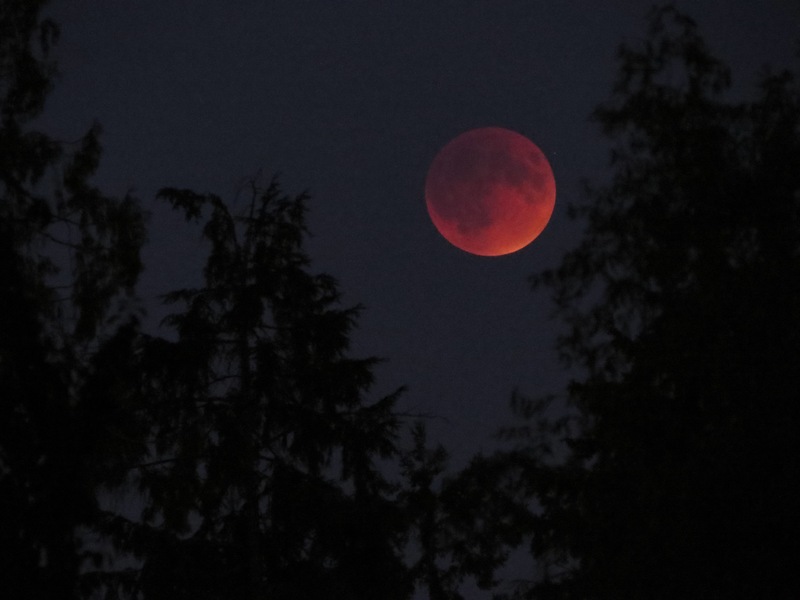 Both from just south of Everett, WA. 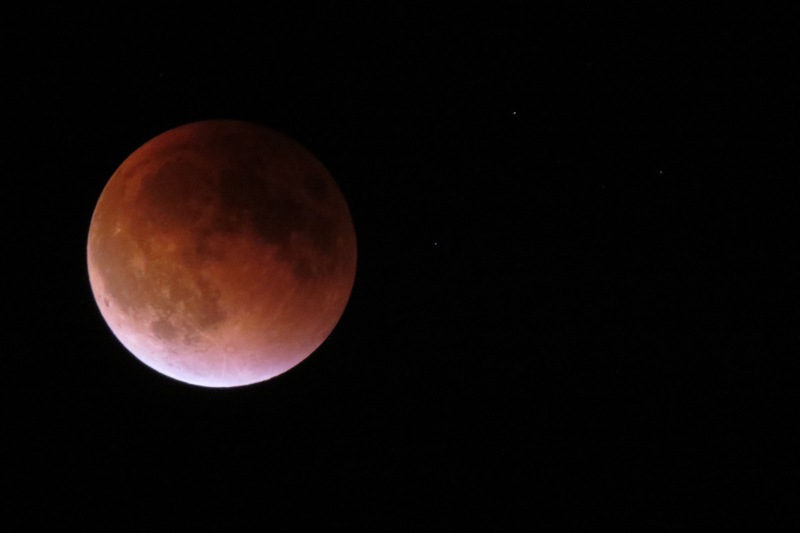 20:55:13 A bunch of minor errors in my data were fixed today, mostly poll sample sizes and a few dates. Thanks to @hominidviews for the corrections. 20:57:15 None of the changes impacted the overall analysis, but they may be important to anyone using my raw poll list for their own analysis. 16:51:45 Retweeted @stevesingiser 16:50:19 Bobby Jindal is dropping out of the GOP presidential primary?! Hold up—Bobby Jindal was **in** the GOP primary? 18:04:27 Retweeted @daveweigel 13:30:55 Voters: "We're really excited about Sanders, Trump, and Carson!" Media: "That's cute. Here's some speculation about Biden and Bloomberg." 18:06:46 Retweeted @SarcasticRover 17:53:31 So lame that The Super-Moon's secret identity is just The Moon… like, we know it's you, Moon – drop the act, dummy. 03:11:10 And that’s it for today’s polls. A couple of changes of note, so blog post later. 01:38:46 UPS just delivered my shiny new iPhone 6s+. Finishing up a round of poll updates before unboxing and setting up. But yay! 03:14:26 New polls: Elon in NC, WMUR in NH, PPP in IA. For details see http://t.co/EZdmGlTAg8 & @ElecCollPolls. Changes of note, so blog post later. 22:46:20 Retweeted @ianbremmer 15:32:24 Word from those that know: Mike Bloomberg now seriously considering Independent run. Aside from that one blip of good news in August every single update I’ve posted in many months has been more bad news for Clinton. This update is no exception, with two changes worth noting, both in favor of the Republican. 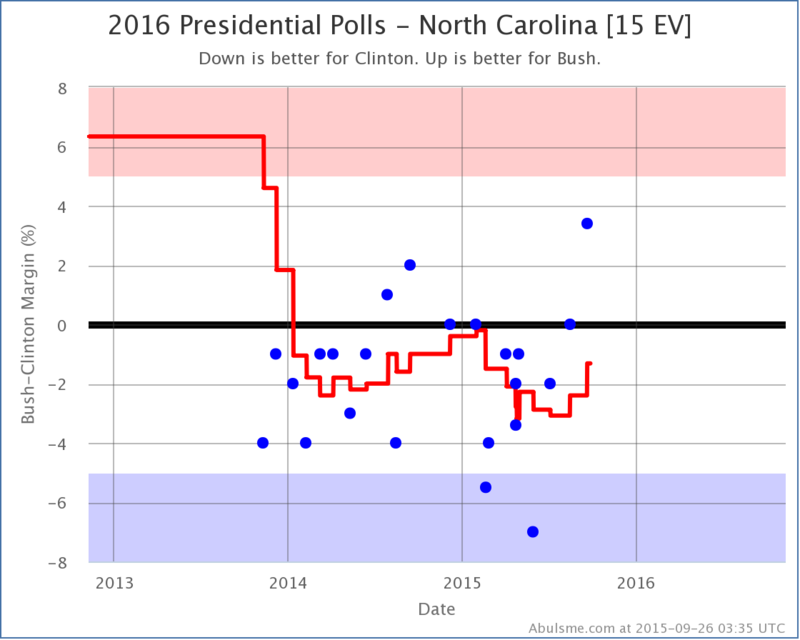 The new poll in North Carolina didn’t shift move the state to a new category, but the move from a Clinton lead of 2.4% down to a Clinton lead of 1.3% moved the tipping point, which had been North Carolina. With North Carolina shifting Bushward, the tipping point becomes Colorado, where Clinton is ahead by 2.2%. This is a relatively small blip upward for the tipping point, but it continues the trend. This race just keeps getting closer. 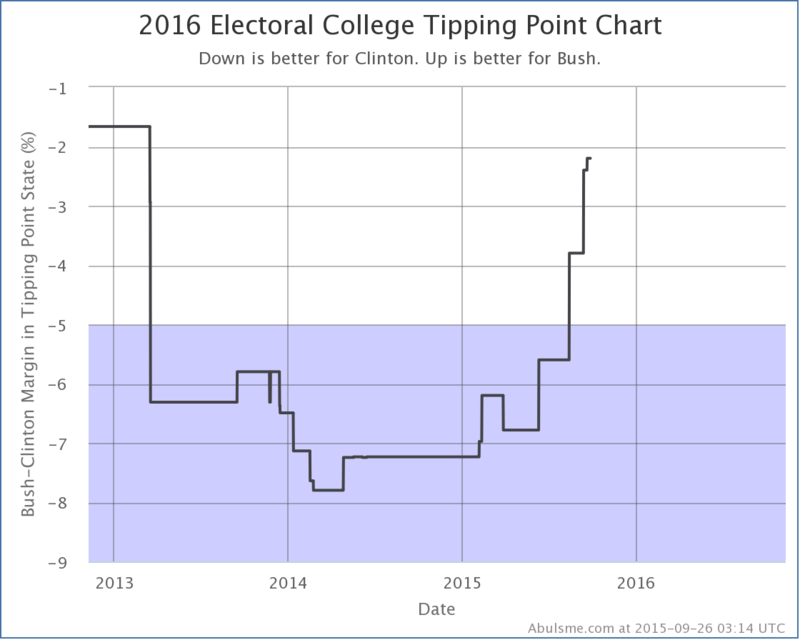 Remember, the tipping point is how far polls have to move nation wide in order to flip the result of the election. The gap is now only 2.2%. That is tiny. A 2.2% lead can disappear over night, or be an illusion cased by a bias in the polls. Right now, Bush and Clinton are effectively neck and neck. Yes, Clinton has a lead, but it is extremely narrow. Clinton’s buffer is down to just Colorado, Michigan and North Carolina, all states where her lead is less than 2.2%. We’re only a few Republican leaning polls in those three states away from having a Republican in the lead for the first time since I launched this site. He increases his expected result to… losing by 144 electoral votes! 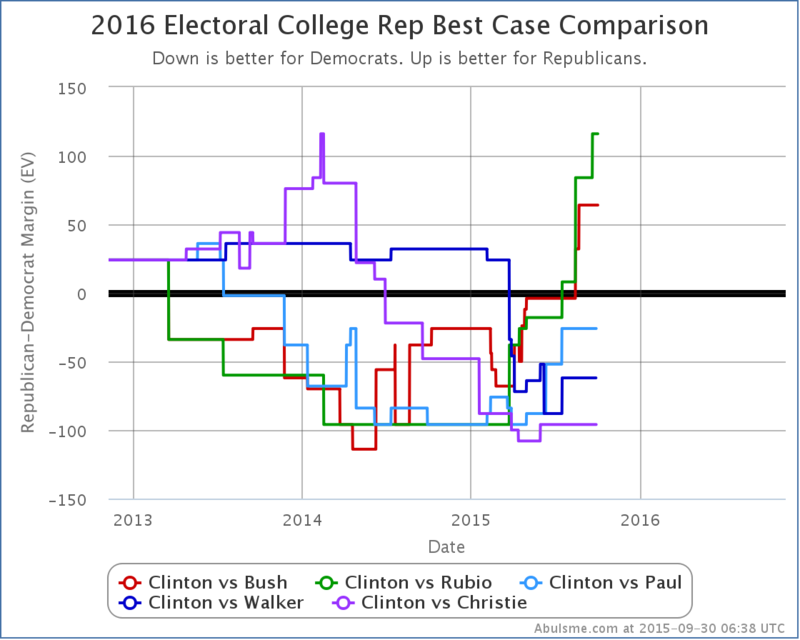 Well, OK, Walker wasn’t the most competitive of the Republican candidates against Clinton. 409.8 days until polls start to close.